Nothing is cuter during the holidays than a little girl or boy all decked out in their cute holiday attire! And with the colder weather here, parents are stocking up on all the adorable winter wear for their children as well! Check out three of my favorite clothing companies that can help outfit your children this winter and holiday season!! Trumpette is a high-end children’s clothing and accessories label providing contemporary and comfortable designs for your little one. Is there anything cuter than a cute pair of baby socks??!!! And Trumpette always has the cutest pairs for both boys and girls! My son is sporting the Baby Buffalo socks lately and he has gotten more comments and compliments on them! 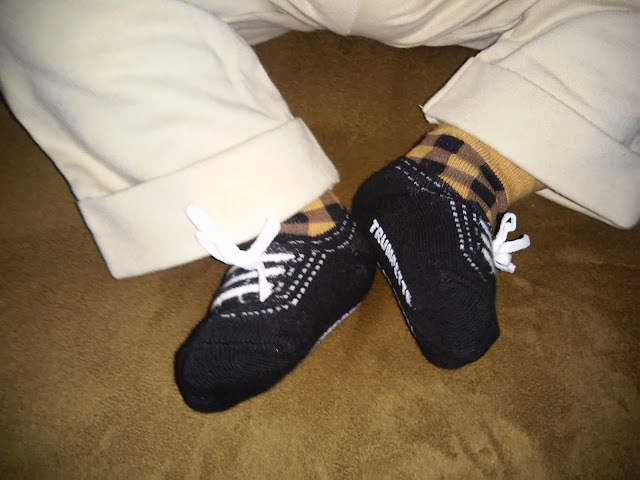 We're mad for our buffalo plaid baby socks! Six pairs of bright low-top tennis shoe socks in a coordinating gift box. These are absolutely the cutest socks and they work as shoes too because of the cute little shoelaces! I put these on my son with everything from dress clothes to casual! And when you put together Trumpette socks and Little Me clothing you get the cutest outfits ever! At Little Me®, they create unique clothing that celebrates those fleeting years when newborns transform into young toddlers. Their products let little ones be little—whether they’re napping, throwing cereal on the floor or crawling through deliciously muddy grass. They are constantly developing innovative apparel, accessories and products that nurture discoverhood. They never use tweed, leather or any other “grown-up” material. They use fabrics like soft cotton, terrycloth and velour. They believe babies should always be comfortable, snuggly and safe, free to do what they do best: play, sleep and thrive. Everything they design allows babies to discover the world at their own pace. And they also create some of the cutest outfits I have ever seen! 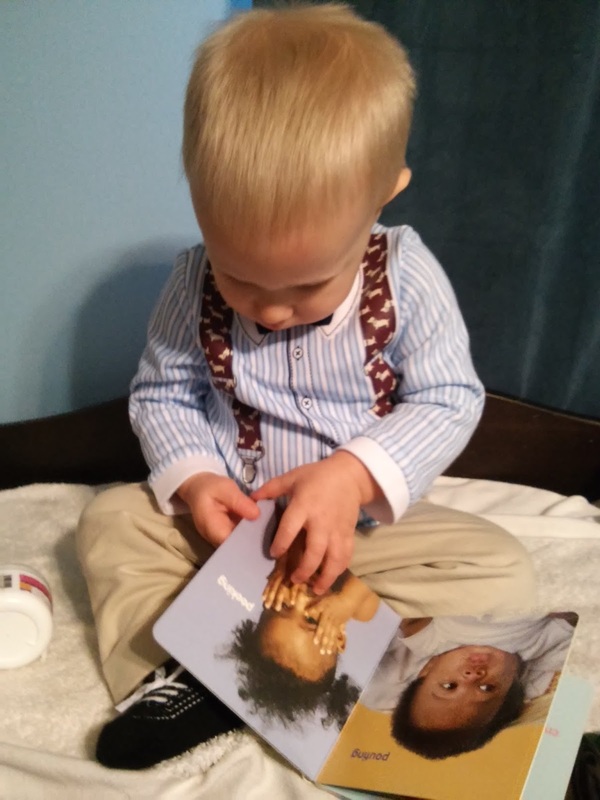 I loved looking through their selection and imagining my children in ALL of their outfits! My favorite has got to be The Professor 2 Piece Pant Set for little boys! 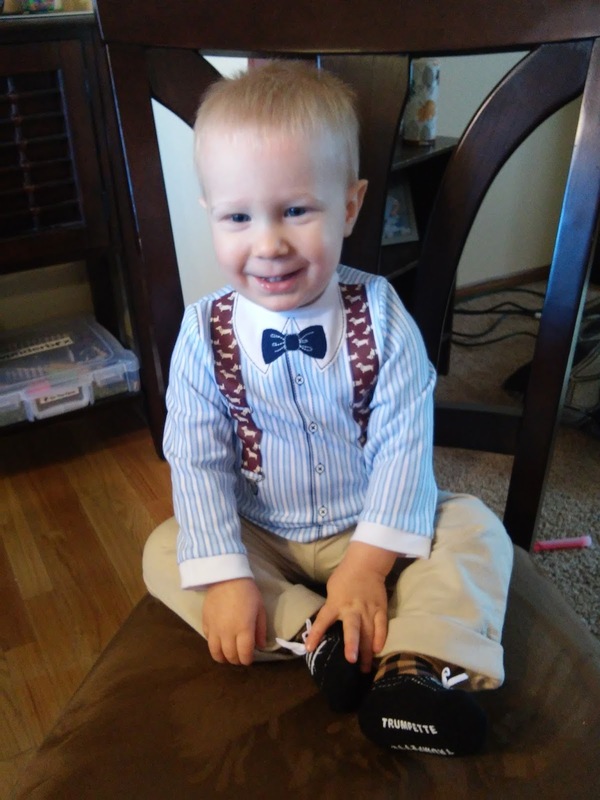 My son was so adorable in this outfit but I was a little sad to see it ran a little small so he won't fit in it much longer! But it has to be one of the most adorable outfits I have ever owned for him or that he has ever worn! The materials are so soft and comfortable! It was easy to put on and he could move around and be comfortable while being dressy! Excuse the fuzzy picture! This boy is active and it is hard to get a good picture of him sitting still! 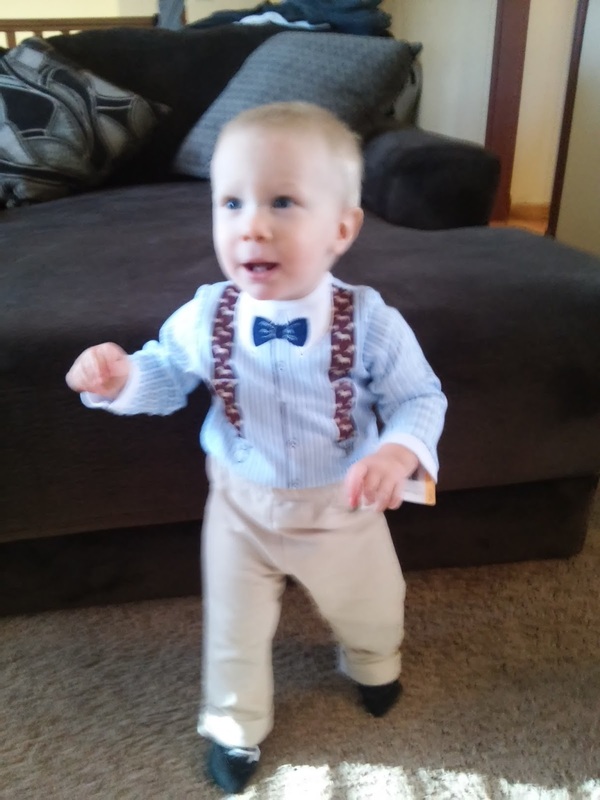 I just couldn't take enough pictures of him in this outfit! LOVE, LOVE, LOVE IT! And this outfit pairs perfectly with the Trumpette socks! Such an easy outfit to put on a wiggly baby and one they can still be comfortable in! And for your older children in school, stock up their winter wardrobes with super cute essentials from French Toast! French Toast is America's most trusted brand of school uniforms. However, they recently just expanded into weekend wear and their clothes are comfy, durable and will last any child for years to come! Check out some of the must-haves my children are wearing to school this year from French Toast! Safari inspired, it's cool and comfy for a casual school week to weekend look. This dress is made from Cotton blend twill and Wrinkle No More™ fabric for easy care. It features a removable sash fabric belt, keyhole details at sleeves cuff, 2 front flap pockets and Front button closure. Plus, it is Machine washable. This is their most versatile sweater - designed to be worn as a layering piece or on it own in place of a jacket. Easy on/off full front zipper; ribbed mock neck, cuffs and bottom. Boys will stay warm and keep it cool with this soft colorblock hoodie that's the perfect off-duty layer. This hoodie features Cotton blend fleece, Attached hoodie, Front zipper closure and Kangaroo pockets. This flat front version of their classic pant has a durable double knee and an inside adjustable elastic waist for a perfect fit. Hook & eye closure. Cotton blend with Wrinkle No More fabric. Your kids will look cute, fashionable and ready for the winter weather and the holidays with these three children's clothing companies!